Discussion in 'Lets Talk about gambling and more...' started by Marina, May 3, 2015. Understandably, some of the largest buildings in the world are things like airports and government buildings. But what’s unexpected is how some of the largest casinos in the world compare to some of these behemoths. While many casinos are modest, there are a few that rival the size of international airports and even The Pentagon in sheer floor space. Here’s a look at some of the largest and extravagant casinos in the world. Some of the locations are predictable (Macau, China and Las Vegas, Nevada) but some are quite surprising, indeed. This isn’t a “top six” list, but all of these casinos fall in the top ten largest in the world. These ones are simply picked out for variations in locale (otherwise we’d have five from Macau on here). We start off our list with a place many people wouldn’t expect, Portugal. The Casino Lisboa is located at Lisbon’s Park of the Nations and is the largest casino in Europe with a floor space of 165,000 square feet (15,500 square meters). The resort is owned by Estoril-Sol and, because he’s a primary stakeholder in the company, Stanley Ho. Not only does it have over 1,000 machines and 1,000 rooms in the hotel, it also houses seven restaurants and the Arena Lounge, a three-stage lounge with three rotating rings, giving a 360-degree view of the action. The MGM Grand in Vegas isn’t just one of the largest casinos in the world, it is one of the most famous and one of the most lavish. It has 170,000 square feet of floor space (15,800 square meters) that contain over 2,000 machines, 178 tables and a host of attractions, including CSI: The Experience and formerly housing Cirque du Soleil’s Kà. The hotel and casino features twenty restaurants, several of them owned by big names like Emeril and Wolfgang Puck and one of which is operated by three Michelin star chef Joël Robuchon. 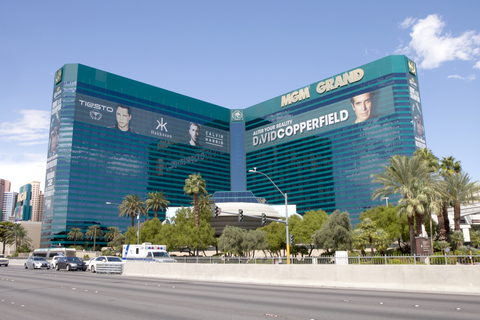 Additionally, the MGM Grand is the home of the Skylofts, a Forbes Five Star hotel all its own featuring 51 lofts. If you want to experience a true five-star hotel, you’ll have to pony up between $2,000 and $10,000 per night. The Tusk opened in 2002 as the largest casino in not only Africa, but the entire Southern Hemisphere. The 266,330 square foot (25,000 square meters) gaming area doesn’t have the highest number of machines or tables, but it is a roomy and lively casino largely inspired by Brazil’s Carnival. One of its main claims to fame is the weekly Sunday poker tournament. If you want to play, buy ins are only R500 (about $50). The Foxwoods Resort Casino was once the largest casino in the United States (a title that has since been taken from it by WinStar World Casino in Oklahoma). That’s no small feat. The casino is one of the most successful Indian casinos, being managed by the Mashantucket Pequot Indian Tribe. This complex of six casinos has 340,000 square feet (31,500 square meters) of gaming space with over 6,300 machines and over 400 tables. One hundred of these tables are just for poker but 17 different card games are hosted in the casino. The resort is family friendly too, with a two-story arcade made for children and teens. When you think of the top three gambling havens in the world, we’re sure you think of Thackerville, Oklahoma right after Macau and Vegas. Actually, this sleepy little town on the Oklahoma border only had around 400 people according to the 2000 census but that didn’t stop the town from making the largest casino in the Americas. Outside of the 519,000 square foot (48,000 square meter) gaming area is the 3,500 seat Global Event Center which, in just April and May alone will be host to Air Supply, ZZ Top, Toni Braxton, Bob Dylan, Pitbull, Tony Bennett, and a whole bunch of other huge names. One unique amenity that the resort offers is the WinStar Golf Club, a 225-acre, 27 hole golfer’s paradise designed by D.A. Weibring. The club is the home of the WinStar Golf Academy, a huge facility that offers private golf lessons by some of the best names in the game. As mentioned before, of the top ten largest casinos in the world Macau is home to five of them. The Venetian Macao is by far the biggest. It’s also the biggest casino in the world at nearly 550,000 square feet (51,000 square meters). It’s slightly smaller than Hong Kong International Airport’s Terminal 1. And that’s just gaming space. When you add on the size of the hotel, you get a whopping 10,500,000 square feet (980,000 square meters), making it the seventh largest building in the world. The 3,000-plus machines and nearly 800 tables are only the tip of the iceberg. Even outside of the gaming area there are things to do with three shopping areas, four pools, and gondola rides. This ridiculously large wonderland even has a sporting arena that plays host to boxing, basketball, tennis, concerts, and award shows. This article is brilliant. I really like it. My dream is once in my life going to Las Vegas. I have been in the US many years ago and the casinos there are really nice. Never saw something like that before. SuperNova, if you are going to Vegas I am going with you!! Would love to see this! Las Vegas is definitely a hub of the casinos and hosts some of the biggest and best casinos of the world. I would also like to join you guys, if you are going to the paradise of casino land. Lol Toby you are welcome! Thank you very much Ellis. What you think which casino is the best in the world? Well Ellis, this place looks like a paradise. I don’t think there would be a single individual who doesn’t like this place. This place is absolutely amazing.